Our experience tells us that there are two distinct types of people in this world when it comes to Christmas trees: those who insist on a live tree and those who prefer an artificial tree. So, of course we offer the best of both worlds. 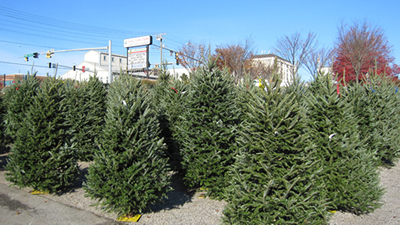 Our fresh cut Fraser Firs are beautiful, fragrant and have excellent needle retention. Living trees are balled and burlapped and include Norway Spruce, Colorado Blue Spruce and White Pine. Potted Alberta Spruce are wonderful to add to holiday containers and are available in several sizes, perfect for decorating for the holidays. Before purchasing from the internet or a catalog, stop by the store and talk to us. Nothing can actually compare to seeing a tree in person. We never purchase any of our trees without first seeing and touching them and you shouldn't either. Websites and catalogs give you pretty pictures, endless specifications and numbers. But what do these really mean? Is it just a large amount of lights you are interested in, or do you want a well lit tree with a properly spaced and tipped light set? What types of lights are they? Brilliant lights or ultra low voltage? What happens if some of the lights stop working? Is there a warranty? We are here to assist you from 7am to 9 pm thoughout most of the year. Our staff has the experience and knowledge to talk you through any problems, or, better yet, bring your tree in and we will fix it so that you're able to enjoy the holidays. Many retailers push numbers like tip counts. Tip count has no bearing on the quality or lifelikeness of the tree. Depending on which type or style of tree the artificial is trying to emulate, the tree may have more or less of a certain size and shape tip. It all boils down to does it "look" real? All of our trees are tried and tested! 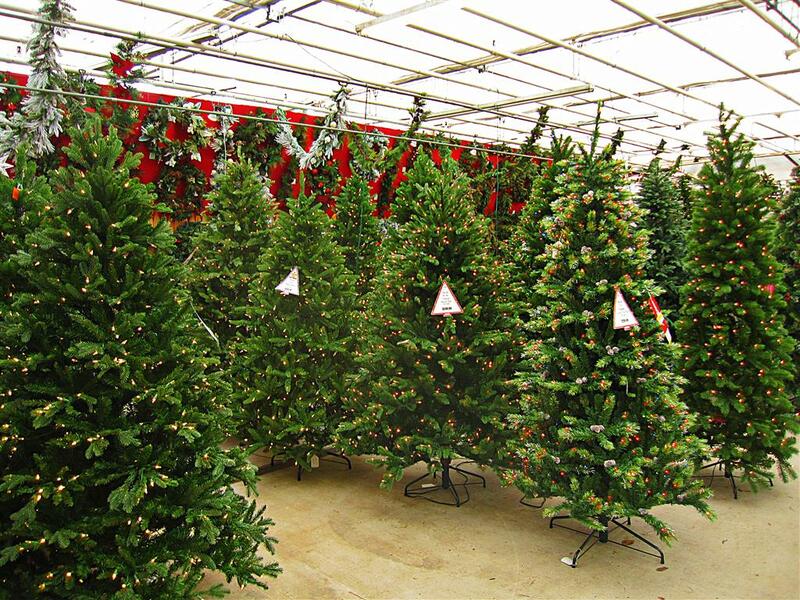 We have decorated thousands of trees over the years, displayed them for over 5 months at a time for 14 hours per day. They pass the high standards of our professional decorators and will surpass your standards for holiday decorating year after year.